This entry was posted on October 18, 2011 by joeleagle. 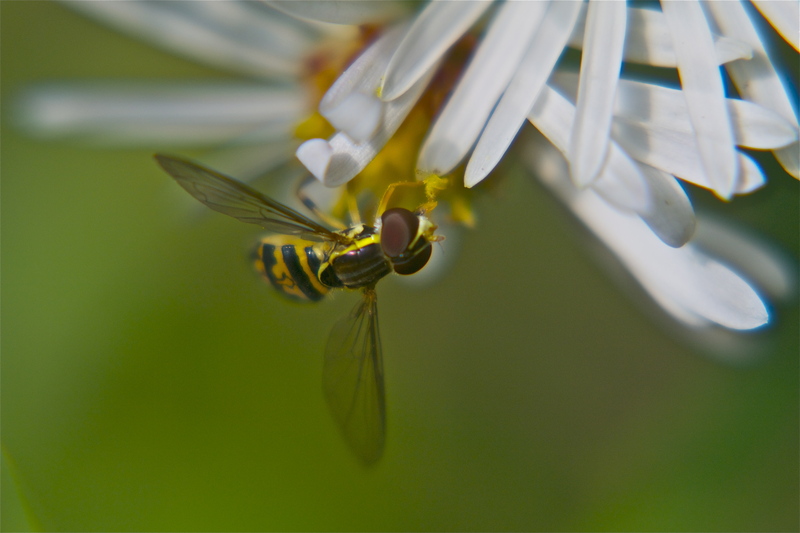 It was filed under Flowers, Insects and was tagged with Hoverfly, small daisy. This bee is very cute!! What kind type of bee is this and is it aggressive.? I’m not exactly sure what type of bee this is, but it’s very tiny and completely non-aggressive.